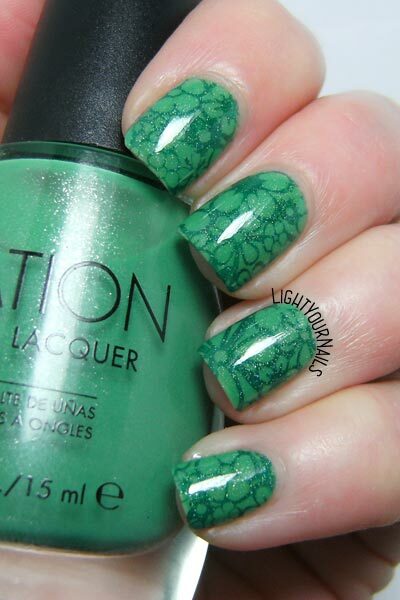 Green flowers | Light Your Nails! 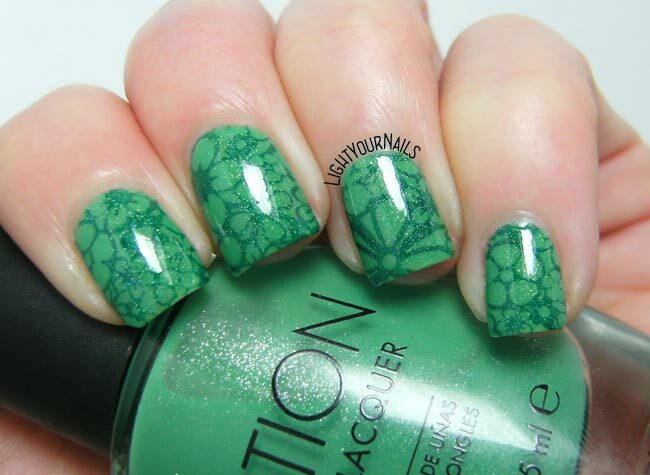 Adoro questi stamping tono su tono! Pretty green with a fun pattern. I like the cute plate! That Sation polish... in love!! The shimmer... adore it. 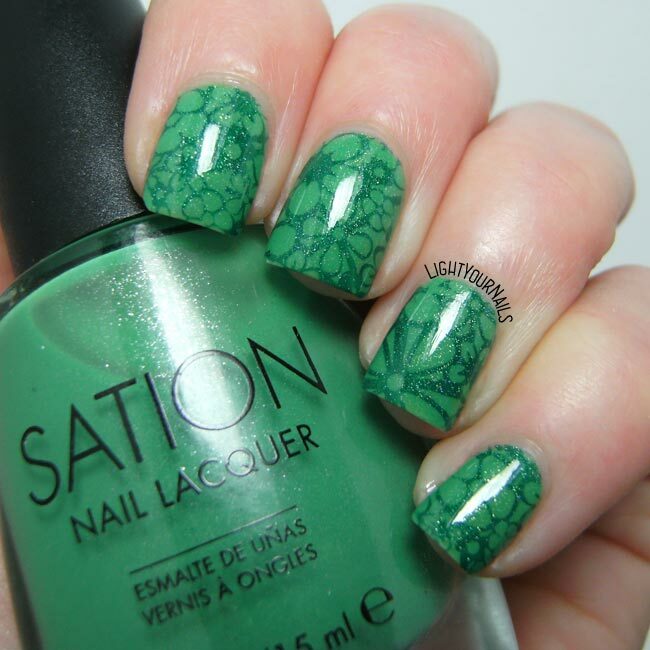 Great green mani! 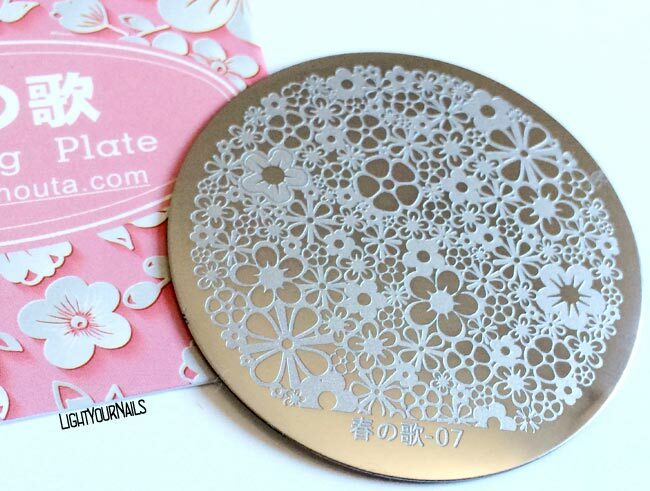 bello questo abbinamento per lo stamping!